A new concept café, restaurant and bar has emerged on Station Street Moorabbin, called Chameleon Junction. First opening its doors in late August 2017, the socially conscious venue created by hospitality veterans Harriet Pellizzer and Executive Chef ‘Tinka’ Lander has found its feet providing a welcoming oasis in a pocket of the Bayside district. As the name suggests, the menu and atmosphere changes throughout the day, which is complimentary to the restaurant’s versatility as a lively brunch spot through to a trendy dinner destination. Chameleon Junction is an inviting space that is both friendly and recharging to the senses, and the locals have been loving it. Owner operators, Chef Tinka and wife Meadhbh Ni Flannagain who also own Tinka’s Fine Food Emporium, have worked with Harriet to produce a delicious menu that is a distinct picture of contemporary Melbourne cuisine. In addition to the enviable wine list hosting Australian and European varieties, menu items hero free range meat, eggs and poultry, sourcing quality, local as possible produce like the free range organic eggs from Bass Coast Eggs in South Gippsland. Beyond the stylish interior, a commitment to reducing waste informs the venue’s operations and approach to delivering quality food. The kitchen uses BPA-free plastic tubs and the kids dinner sets are made out of rice husk fibres; resources are considered, which in return reduces the venue’s ecological footprint. By using biodegradable materials, even down to the non-toxic crayons available for the kids, Chameleon Junction’s end-to-end pledge to sustainability frames their stance on how food should be prepared and how true hospitality should be enjoyed. The signature dishes at Chameleon Junction include the vegan sesame soba noodle salad, the gluten free CJ benedict, the very popular CJ cheeseburger with chipotle bacon jam and the moreish pea fritters. Suitable for families and locals, everyone is welcome at Chameleon Junction. Patrons can expect a hearty breakfast on offer as soon as it opens at 6:30am. Snack and share style plates are also a crowd favourite for when the venue transforms into a moody dinner destination from day to night. Chameleon Junction is community-focused and truly aims to connect with patrons from the very first encounter. 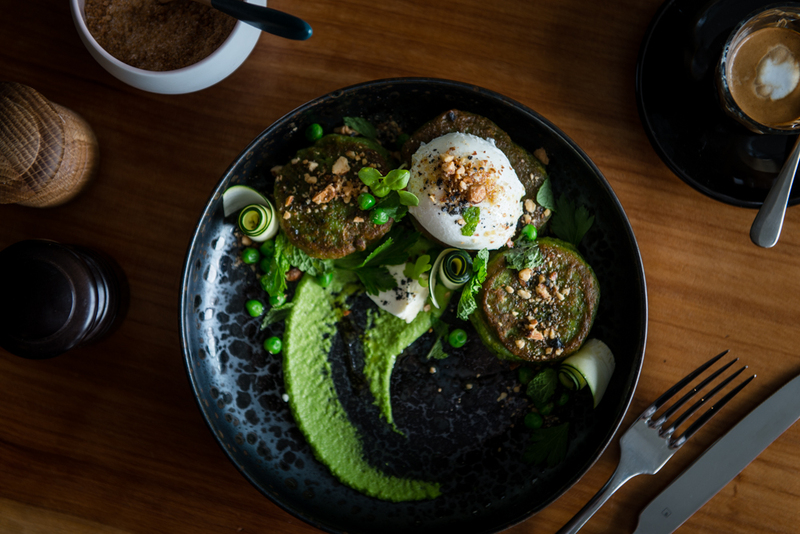 The atmosphere is vibrant, with a stylish interior and accessible menu reflecting Melbourne’s cultural diversity, Chameleon Junction is waking up Moorabbin with its feel good approach to food. Those that created and own CJ have a love for & respect of the hospitality industry and the art that magically lies within executing it well.